How do tools that grew up on the desktop, like Ember, Angular and React, make the jump to the mobile future? 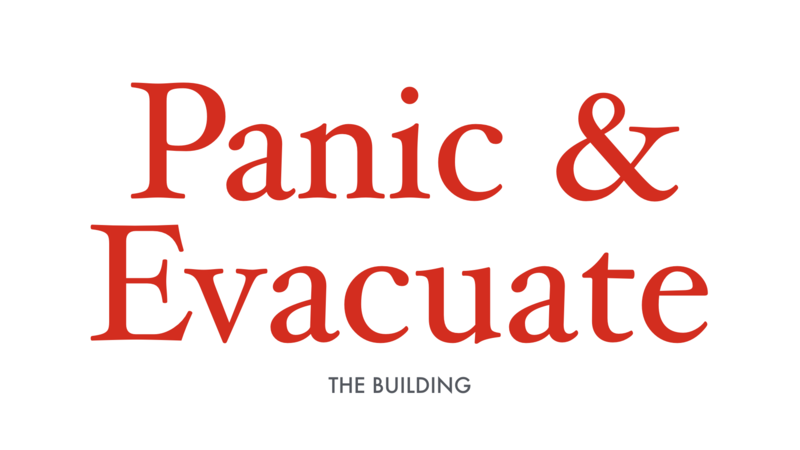 This post is adapted from my JSConf EU talk, given May 6, 2017 in Berlin. 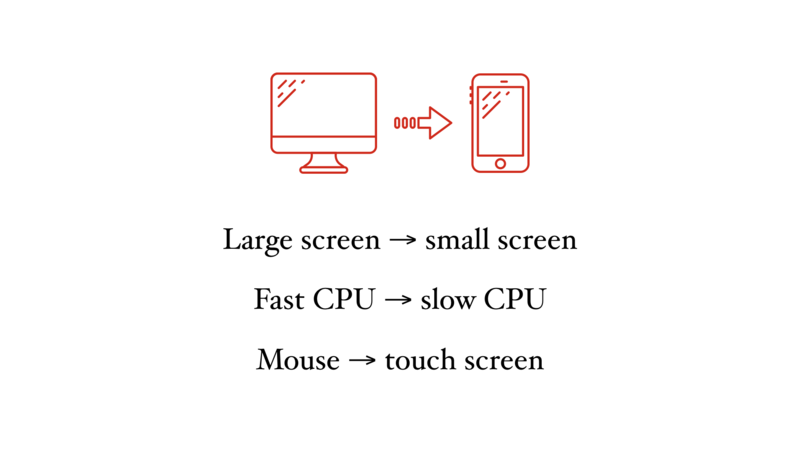 When people think about adapting apps to phones, they often focus on obvious differences, like screen size, CPU performance and input devices. But the context in which a device is used is important, too. 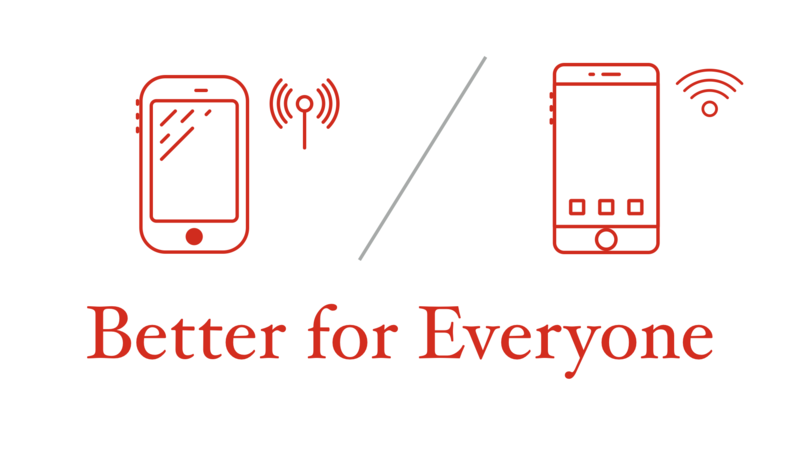 Because phones can be used anywhere, there are very few assumptions we can make, whether that’s how attentive the user is or whether they have an internet connection at all. For me, working on a site like LinkedIn is a constant reminder of how truly global the web can be. In many cases, adapting to smartphones really means adapting to entirely new users. For many people, their first computer is a smartphone. That means millions, maybe billions, of people participating online without ever owning a desktop computer. The more global your app is, the more combinations of devices and networks you’ll have to deal with. CPU power can range from a feature phone, to a low-end smartphone, to the latest iPhone, to a powerful desktop workstation. 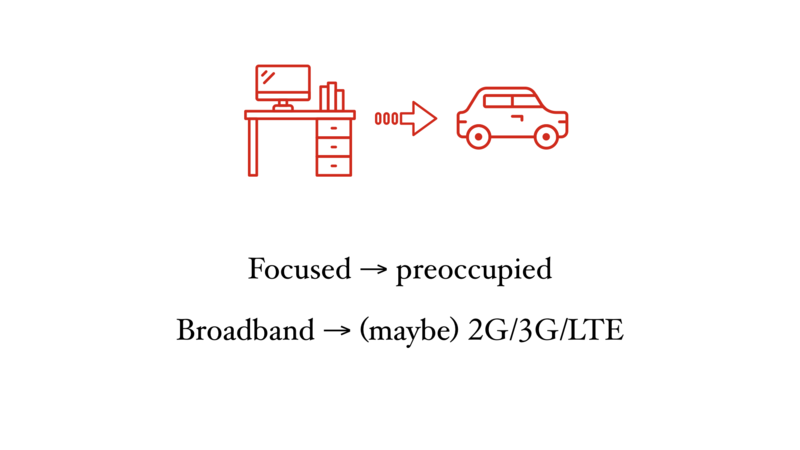 Network connectivity can range from GPRS to gigabit fiber to not being there at all. (Just try riding the subway in New York.) And then there’s the fact that each device may have a different browser, with widely varying capabilities. Without careful design, it’s easy to optimize for one particular combination of capabilities at the expense of another. Let’s look at an example. Imagine these two scenarios. User A has a very low-end smartphone, with a CPU that easily overheats and flash storage so slow it’s borderline useless. In fact, the flash drive is completely full, so it really is useless. This person’s data connection is quite slow, so they use Opera Mini, which uses a proxy to heavily compress data before it gets to the phone. User B has a high-end phone with a CPU that rivals laptop computers and plenty of fast storage. 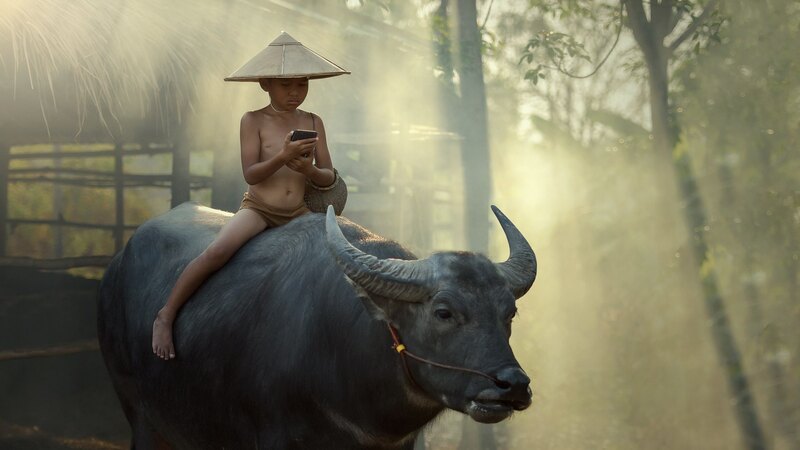 The only problem is that this person is traveling without any cellular data, so while they sometimes have access to broadband internet, it’s only when they’re in range of a Wi-Fi network. For User B, we want to work more like a native application. We’d be willing to spend more time upfront to load the entire app and as much data as possible onto the phone, if it meant that we could still use it when the phone was away from Wi-Fi. Historically, the more we’ve tried to optimize for User B and take advantage of high-end phones and fast networks, the worse we’ve made the experience for the majority of the world, represented by User A. So what’s the solution to this problem? Can you guess? I’ll give you a hint. 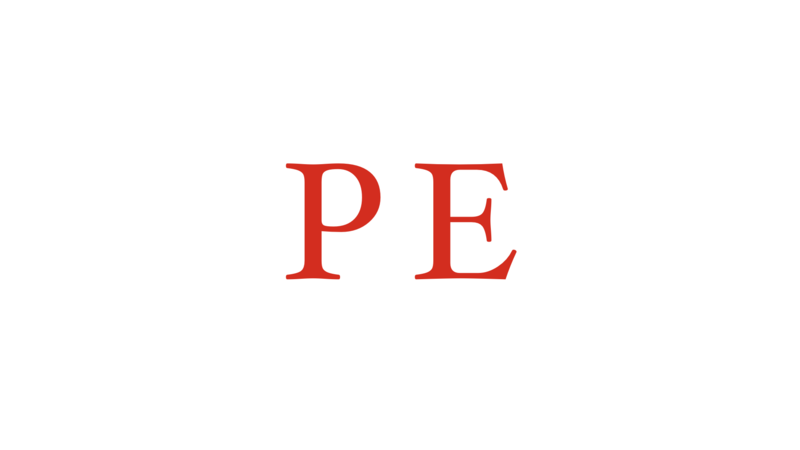 It starts with the letters “P” and “E”. Browsers have advanced at a remarkable rate over the last 10 years. 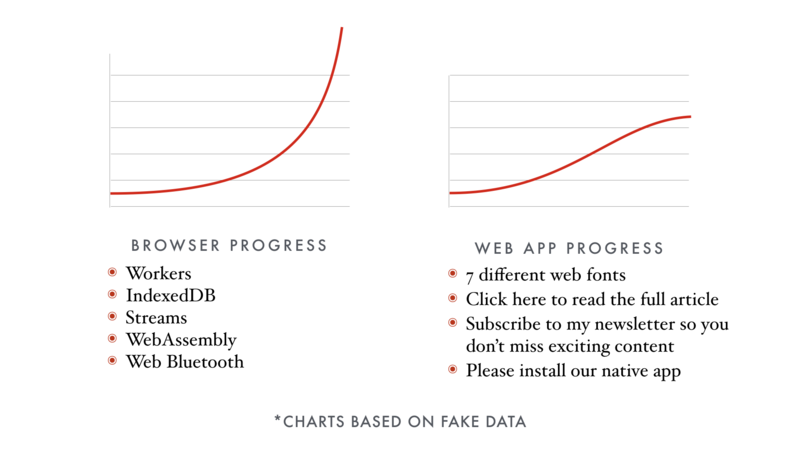 To me, it feels like the web has more momentum than ever before. Every new browser release brings so many new features. Despite all of this incredible innovation, from IndexedDB to Web Workers, to me it doesn’t feel like the day-to-day experience of using web apps has improved that much in the past 3 or 4 years. So why don’t radical improvements to the browser seem to be translating into radically improved web applications? 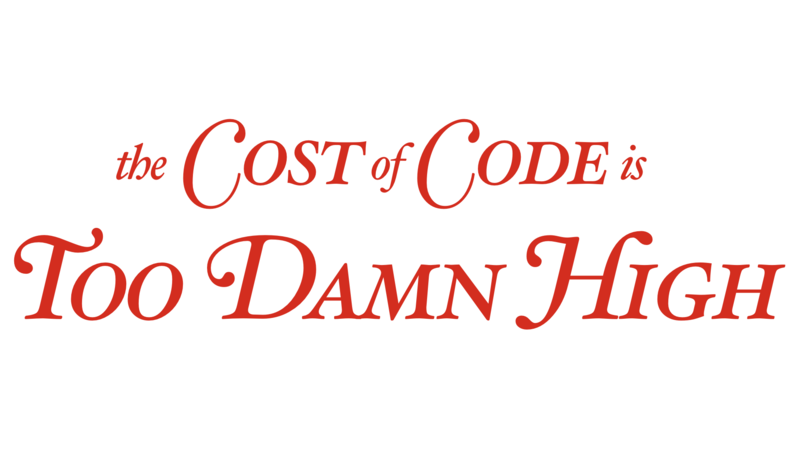 I’d like to propose that this is due to the fact that the cost of code is too damn high. Taking advantage of all of those new features in the browser requires a lot of code! Native apps that work offline with beautiful user interfaces are hundreds of megabytes, and that’s not including the SDK that ships with the operating system. As a community, we often feel like we can’t build sophisticated solutions because eventually we start to collapse under our own page weight. We’ve seen this play out several times now. More sophistication = more code = slower load times. It’s easy to become enamored with the simplicity of a tool, and that can lead us to underestimate the complexity of building modern web apps. Let’s hop in the time machine and see how the simplicity fetish has played out. But after building a big enough app, it would get slower and slower and they would discover that one model changing caused the entire app to re-render. No one on the team understood how the app worked. But good news! 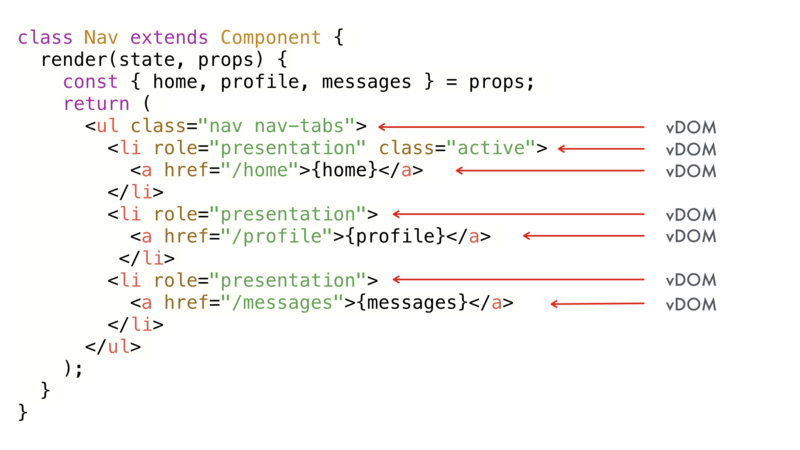 Unlike the complexity of Backbone where you have to listen for change events and re-render entire view hierarchies manually, Angular’s super simple because you just set a property on your scope and it updates the DOM for you, automatically. But after building a big enough app, you discover that the entire thing is a single controller with 3 million lines of code. Each dirty check takes 5 minutes. No one understands how the app works. But good news! 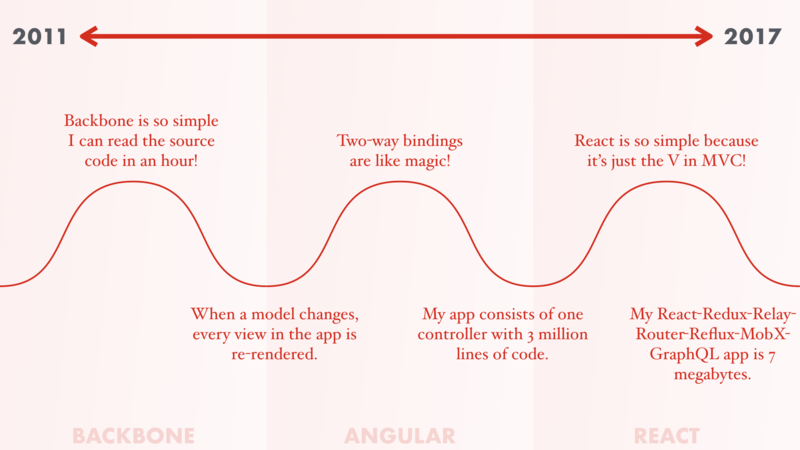 React solves this problem by being so much simpler than all of that Angular spaghetti. It can be simpler because it’s just the V in MVC. But after building a big enough app, you discover that you actually need more than just the V in MVC and your React-Redux-Relay-Router-Reflux-MobX app weighs in at 7 megabytes, becoming just the F in WTF. And no one understands how the webpack config works. 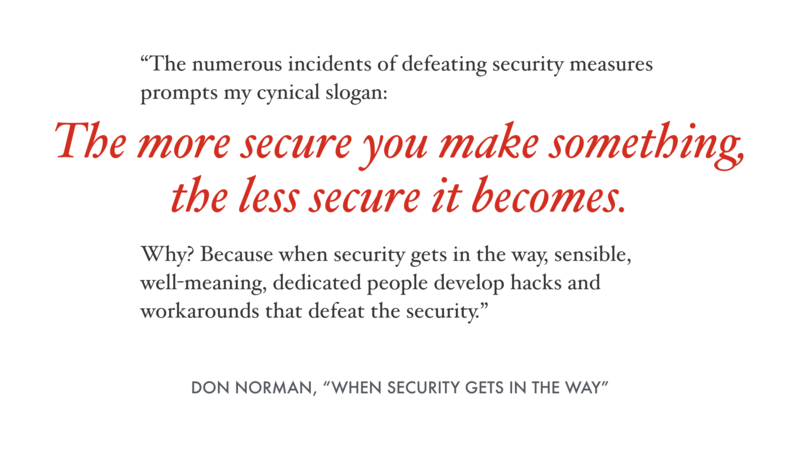 Don Norman, who you may know as the author of “The Design of Everyday Things,” wrote this in an essay about security. For example, when password rules are too annoying, people just write their password down on a piece of paper on their desk. 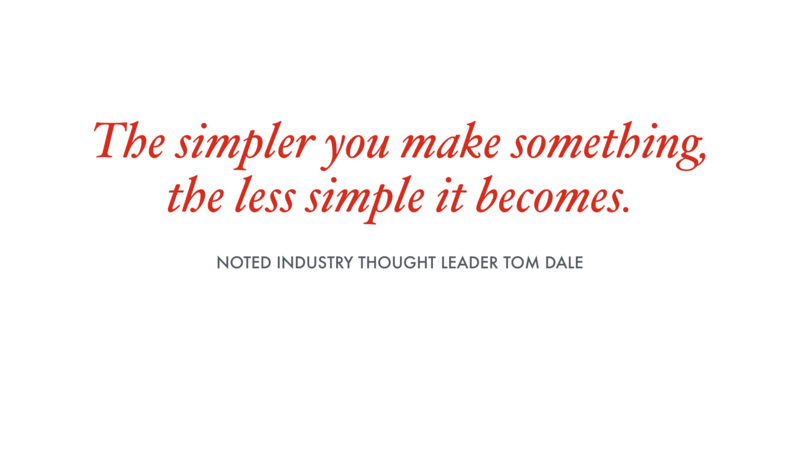 I’d like to offer the Tom Dale Simplicity Corollary: the simpler you make something, the less simple it becomes. 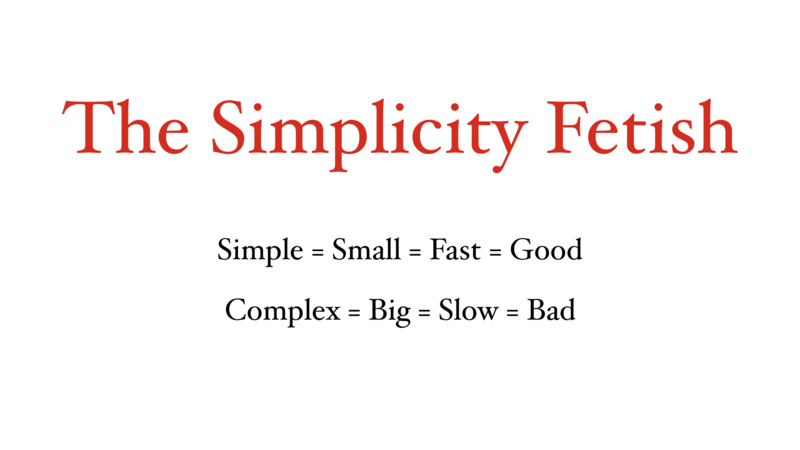 Because when simplicity gets in the way, sensible, well-meaning, dedicated people develop hacks and workarounds that defeat the simplicity. 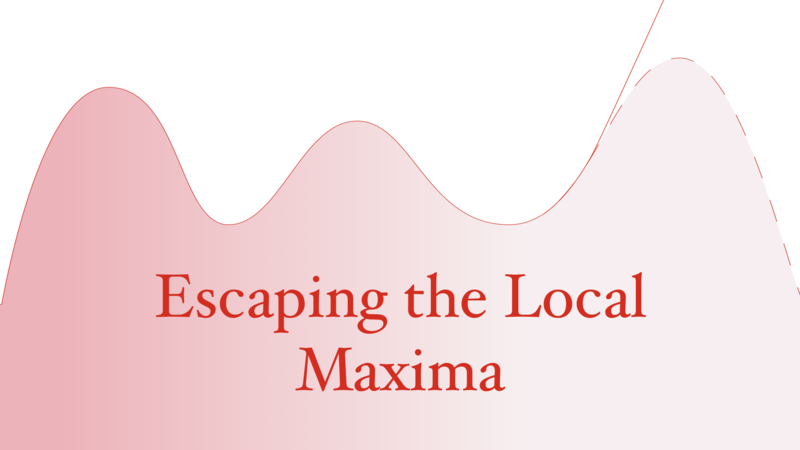 So how do we break out of this local maximum? 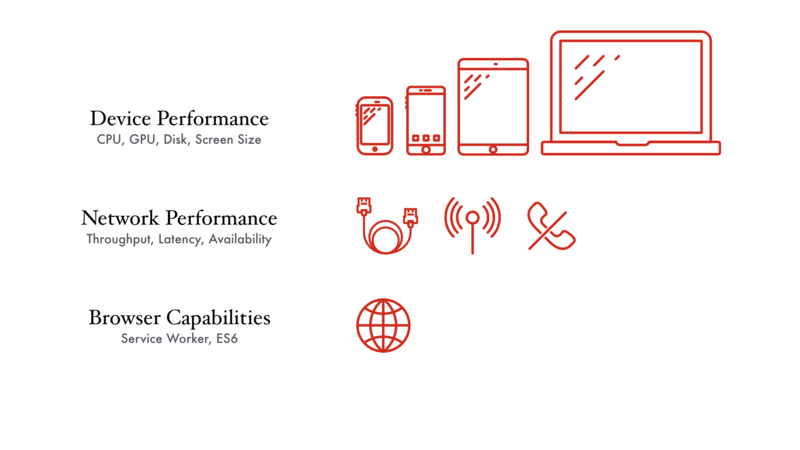 How do we write one app that can scale up and down across different devices and performance characteristics? I think we can learn from native developers, because they had to tackle a similar problem. Different CPU architectures have different instruction sets. If you write some assembly code for x86 and then want to run it on ARM, you have to start over from scratch. Learning assembly for all of these architectures is a big task. If this was how system software was written, there wouldn’t be much cross-platform code, and introducing new CPU architectures would be borderline impossible. We figured out a long time ago that a compiler can take a higher-level program and get it to run across all of these architectures. If a new architecture comes along, you just have to update the compiler, not rewrite every app in existence. Best of all, not only can a compiler get our code running on different architectures, it can also optimize it for those architectures. 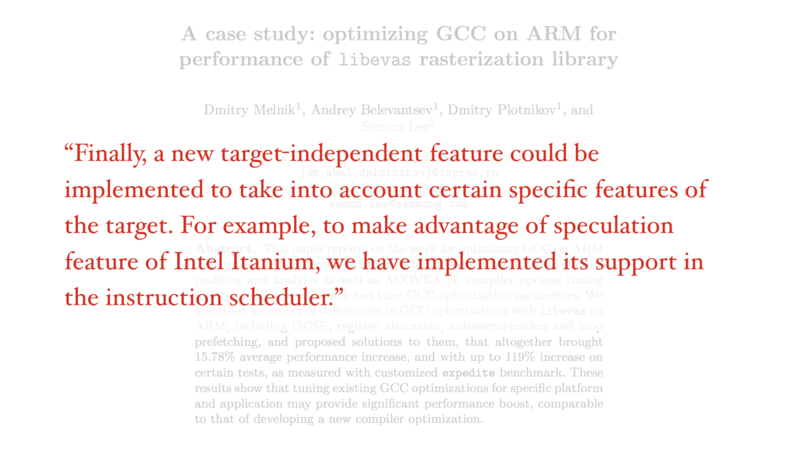 By encoding CPU-specific optimizations in the compiler, everyone’s code gets faster for free. If there’s one thing that I want you to take away from this talk, it’s that modern web toolkits are transforming from libraries you call into something that is more like a compiler. Except instead of compiling a higher-level programming language into native code, they’re compiling your higher-level app into a version highly optimized for delivery over the network. Eventually, this will mean building multiple versions of an app and delivering the most optimized version for that device. 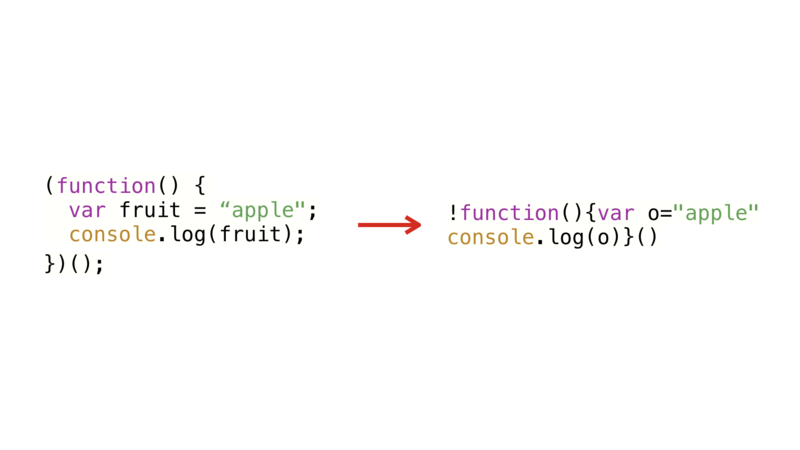 This might be as simple as delivering ES6 builds to newer browsers and transpiled ES5 for older browsers. Or it could be something like automatically transitioning between server-side rendering and client-side rendering based on detected network speed. 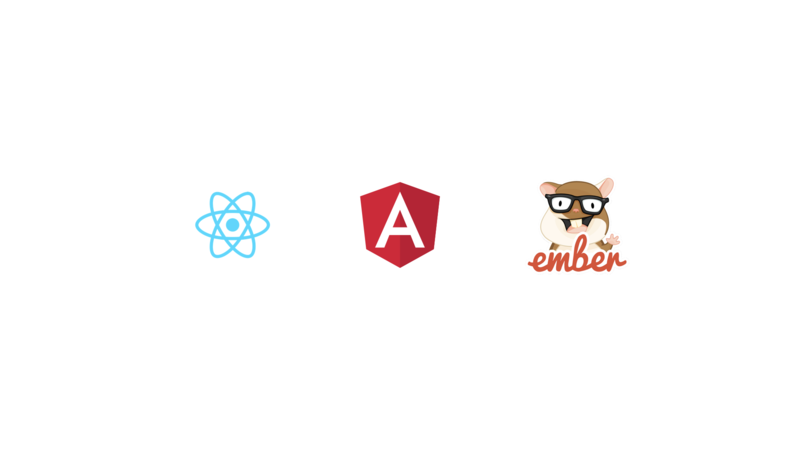 Unfortunately I don’t have a lot of time with you today, but I wanted to highlight three things the teams behind React, Angular and Ember are working on that demonstrate that these frameworks are staying relevant on mobile by becoming compilers. The Prepack website uses quite a bit of computer science terminology to explain what it’s doing. It is genuinely very exciting and very novel. But you don’t need to understand terms like “symbolic execution” or “heap serialization” to understand why Prepack has the potential to be a critical tool for optimizing web apps. To understand why Prepack is cool, let’s take a step back and understand how a bundle optimizer like Rollup works. 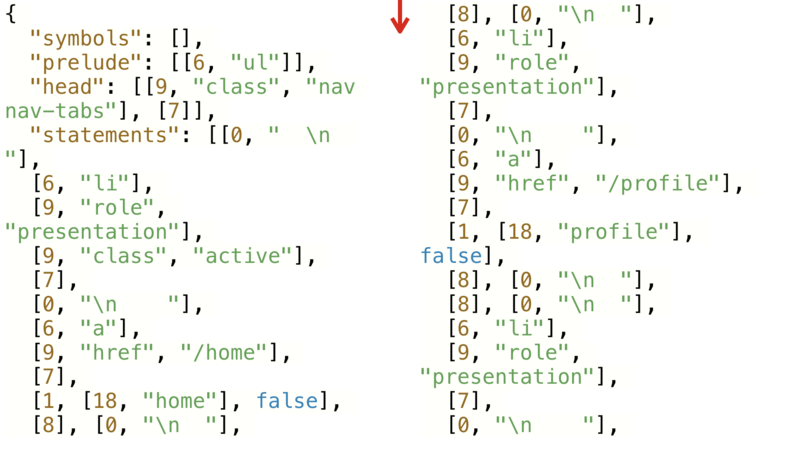 Let’s look at an example from the REPL on the Rollup website. All of our modules are on the left, and the final output file is on the right. Everything we’ve imported is inlined right into the file, and modules that are never imported are excluded. This gives us smaller files by eliminating files we don’t actually use. But it’s not just modules. Rollup can do some smart things if it sees exports that are unused. 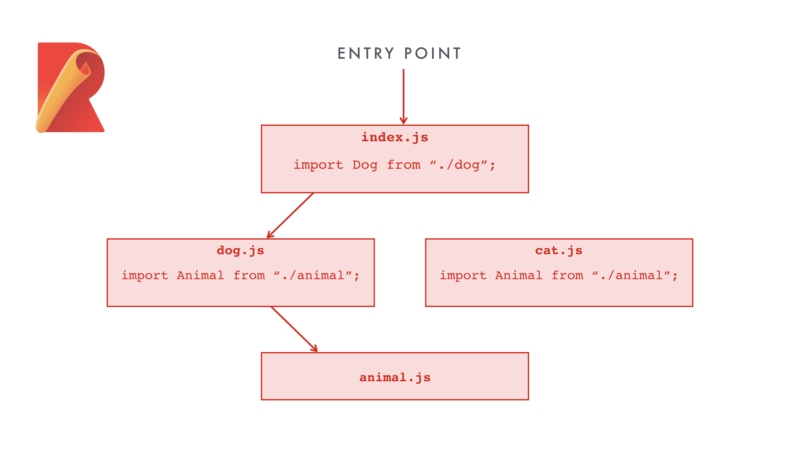 In this case, note that we’ve added a new class to animal.js, but our output on the right remains the same. 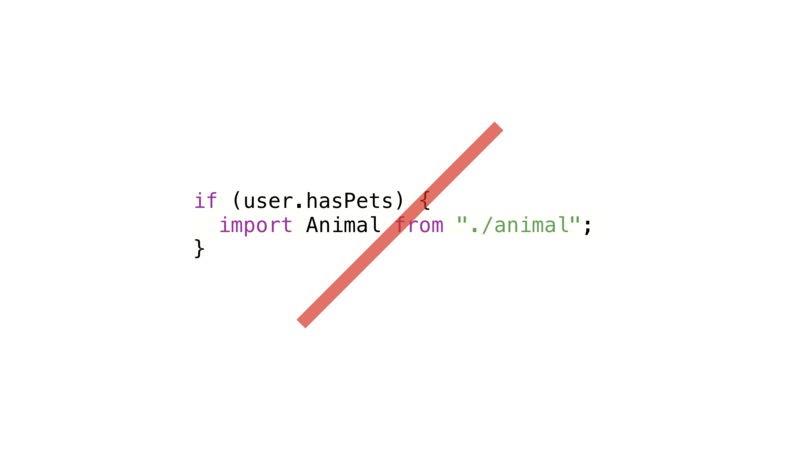 Here, Rollup is smart enough to not include the FeralAnimal class, even though animal.js is imported, because no one asked for that specific export. This kind of thing is possible because module syntax was specifically designed to be statically analyzable. Static analysis just means figuring out things about how a program will run, without having to actually run it. 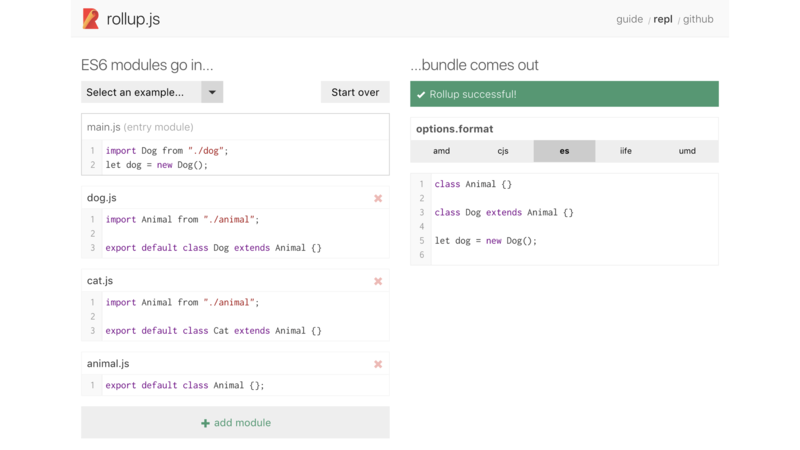 Rollup isn’t running your code, it’s just figuring out what gets imported and exported. Modules don’t work inside conditionals, so if Rollup sees an import statement, it knows with certainty that module is always needed. It uses static analysis to optimize file sizes without actually running any code. 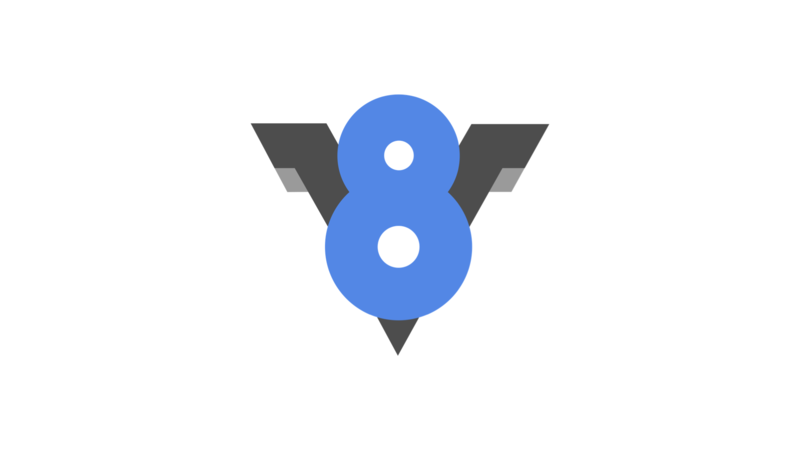 As your program executes, V8 keeps track of which parts of your code get run the most, and how they run. Based on this information, it will ask TurboFan to create optimized versions of the code that it thinks will help your app run faster. But because it relies on how the program actually runs, you have to use the unoptimized code for awhile until V8 can make some decisions. That means things will take awhile to get really fast, and every user pays that cost, even though the end result is more or less the same for everyone. So we have this tension between static analysis and dynamic analysis. Optimizations that use static analysis can be run at build time, meaning you pay the cost once and all of your users benefit. But static analysis can only get you so far because you can only perform optimizations you’re 100% sure about. If a module might get used, Rollup can’t remove it, because if it guesses wrong the app breaks. Optimizations that use runtime analysis can collect information about how a program actually runs, so they don’t have to guess. But requiring the program to run in order to optimize it is a bit of a Catch 22. By definition, it means the first run will be running unoptimized code. That’s the the opposite of what we want on the web, where we want things to feel instant. Understanding Prepack is a talk unto itself and I’m still digesting how it works internally myself. But let’s look at an example of what I mean by reverse engineering a simpler version. Imagine we’re writing a library that prints the start date of the DinosaurJS conference. I create a new date object initialized with the start date, then use that date in a string. Let’s look at what happens if we take this code and run it through Prepack. But now instead of every user having to allocate a Moment.js object, parse a date string, parse a formatting string, emit the requested string, and then concatenate it, we have a simple string literal. In fact, in this example, I can skip including and evaluating Moment.js altogether, including all of the extra data it needs to turn dates into locale-specific strings. 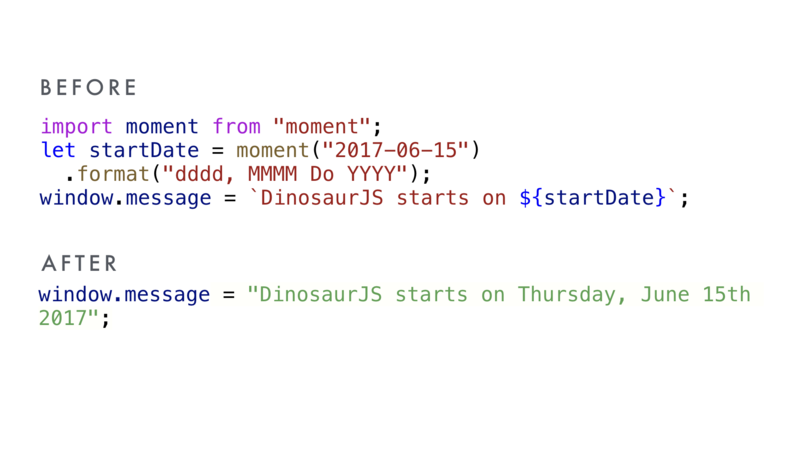 That’s a huge savings if all we’re using Moment.js for is generating this message about when DinosaurJS starts. This is a contrived example, but you can imagine how each of these small savings may start to really add up in larger apps, or libraries the size of Ember, Angular and React. Prepack is still in the “research” phase and optimizes for raw evaluation performance over file size, a strategy that can be self-defeating on the web. But this is an incredibly fresh approach to an old problem, and it makes the computer science part of my brain light up with glee. I’m very interested to see where these ideas take us. 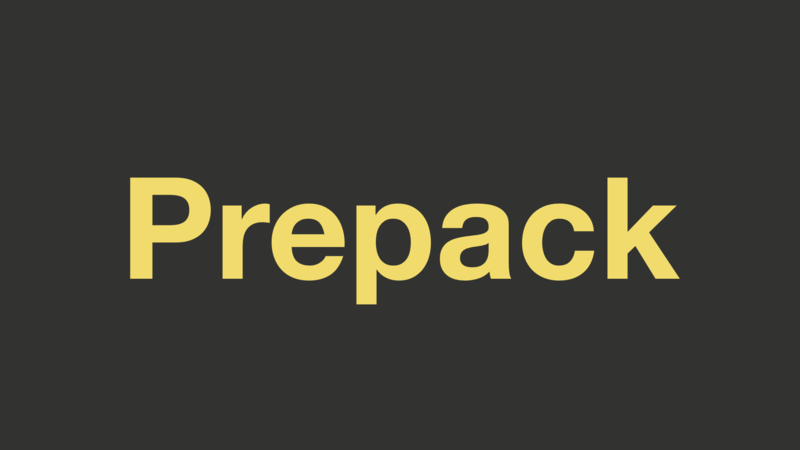 Best of all, I hear rumors that there will soon be a new library from Jason Miller called Preprepack. 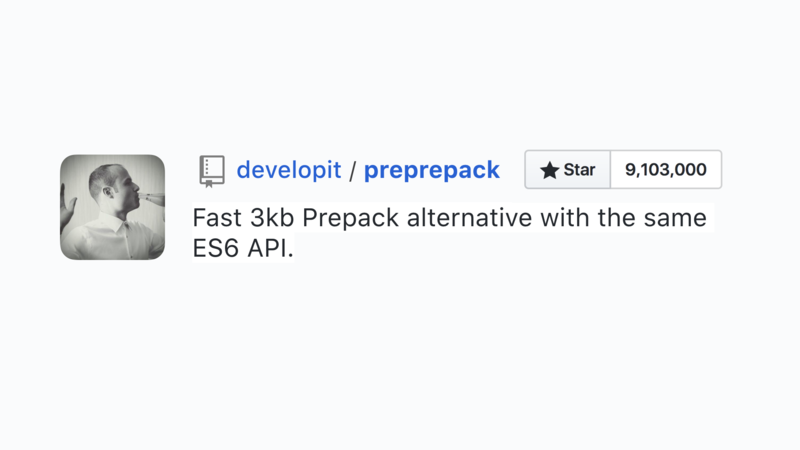 It does everything Prepack does in only 3kb of code. 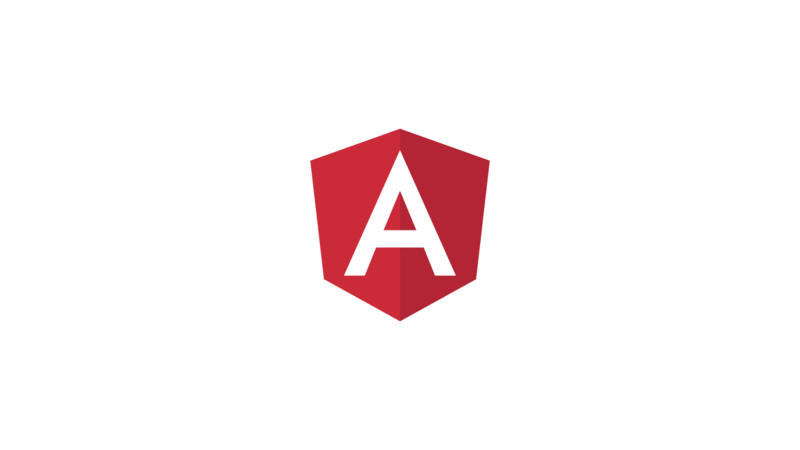 Angular bet early on TypeScript, a language I’m a big fan of. In this example, the variable fruit is renamed to o. Because a variable inside this function can’t be accessed anywhere other than in lexical scope, this is a totally safe change—it doesn’t change the semantics of the code at all. Let’s change this example just a little bit. 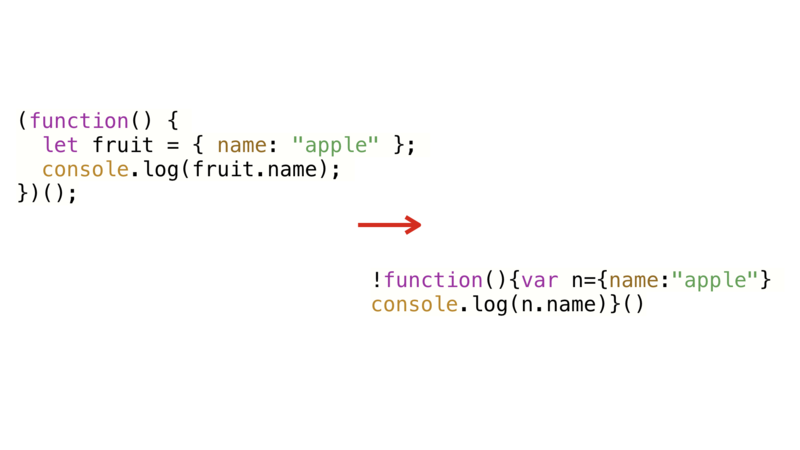 Instead of making fruit a string, we make it an object with a name property. Even though the variable fruit still gets mangled, as you can see, the property name name stays the same. 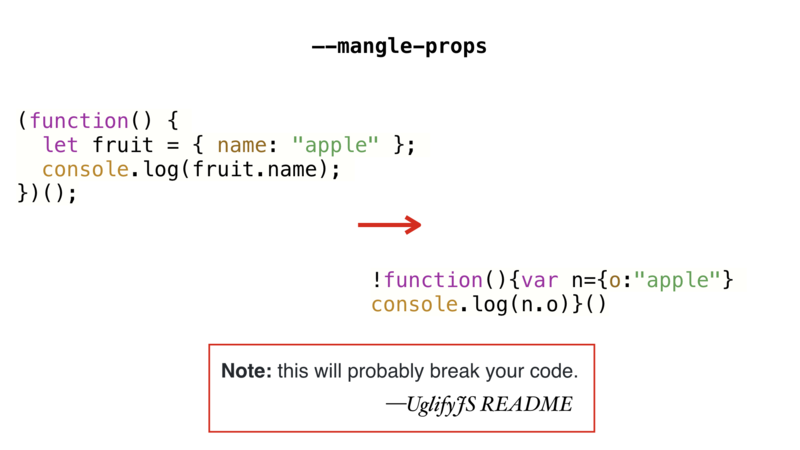 Now, UglifyJS has a property mangling feature that you can optionally turn on. But unlike renaming variables, renaming properties can break things. 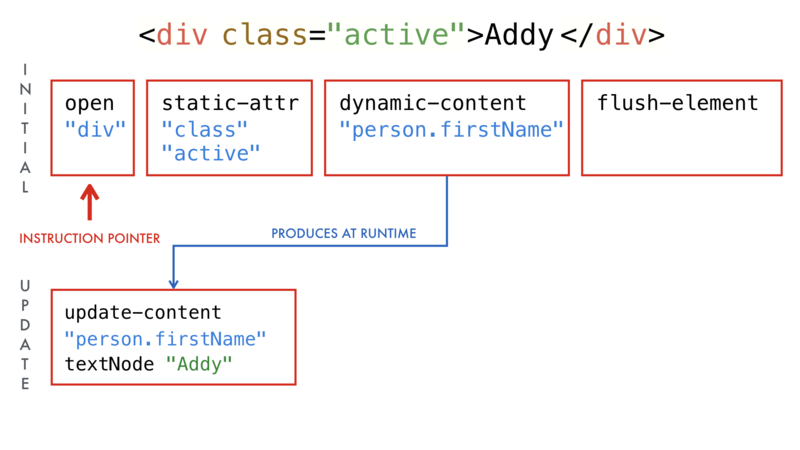 The names of properties and methods on an object are effectively public API—they’re exposed to the outside world. 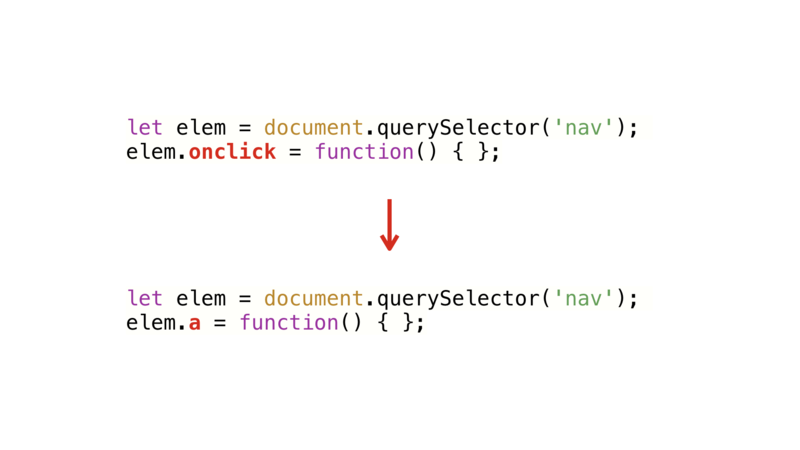 For example, rewriting a DOM element’s onclick property won’t cause an error, but it will break your application. If the user clicks the element, it will just fail silently and the click handler you thought you were installing won’t actually do anything. It’s very common to have methods and properties on a class whose name is a critical part of a contract with the outside world. For example, if your React component’s method isn’t called render(), it will never get run. On the other hand, there may be properties that should be hidden to the outside world. Those we can call whatever we want without breaking anything. So how do we tell our minifier which things are safe to mangle and which are not? Can we mangle public methods and properties consistently, so render() gets changed to xyz() in both our component and in React? 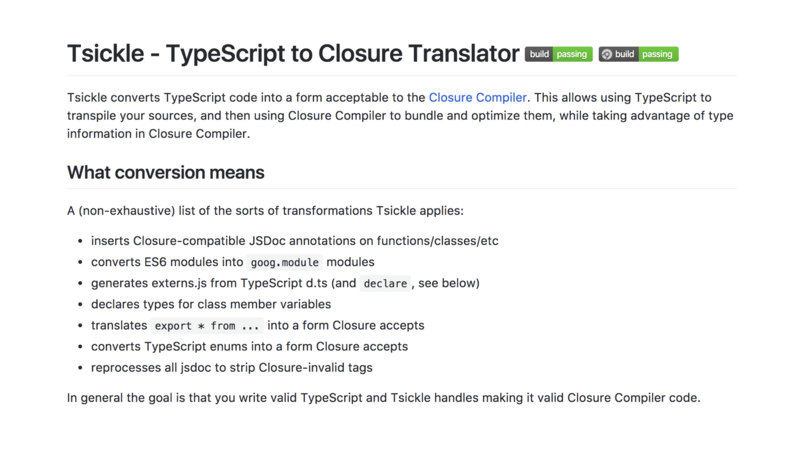 Fortunately, the Angular team released an amazing tool called Tsickle that translates a TypeScript project into the format that Closure Compiler expects. 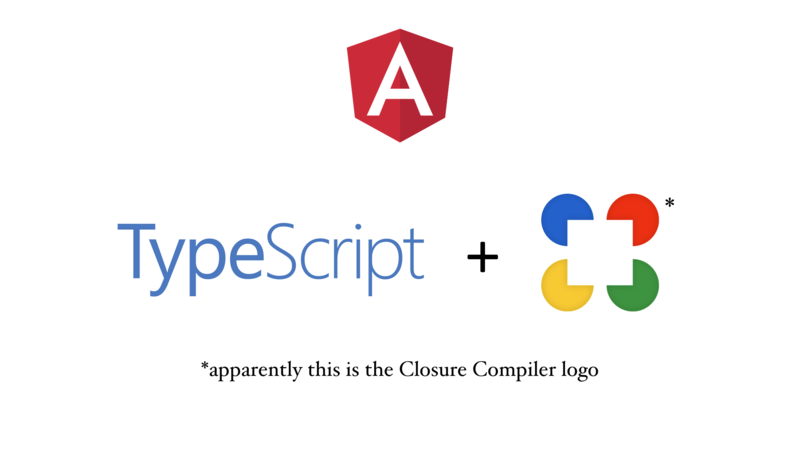 By using the extra information that TypeScript provides, and because Angular is written in TypeScript too, Closure Compiler can do some shockingly advanced minification. As the readme says, the goal is to let you write TypeScript, and Tsickle handles massaging it into something Closure Compiler understands. I am really excited to see Googlers working on making Closure Compiler’s underappreciated power more accessible to the broader world. Integrating this into ng-cli by default would make a huge, practical impact on the final size of the average Angular app. 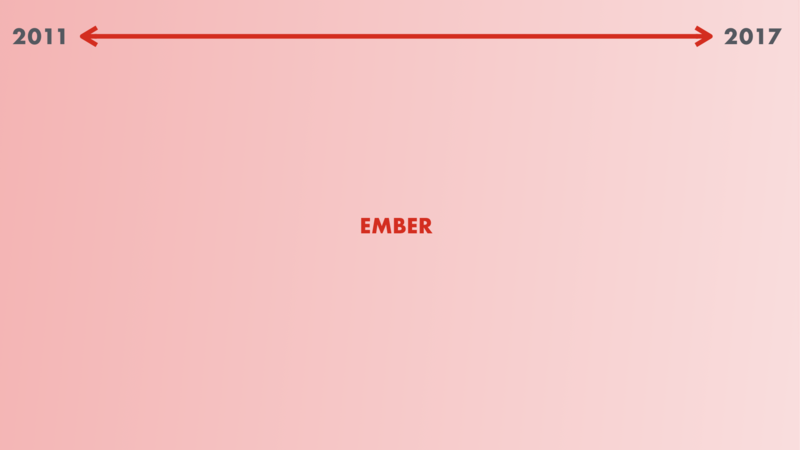 Last, let’s talk about Ember. More specifically, I want to tell you about some of the cool stuff we’ve been working on in Glimmer. 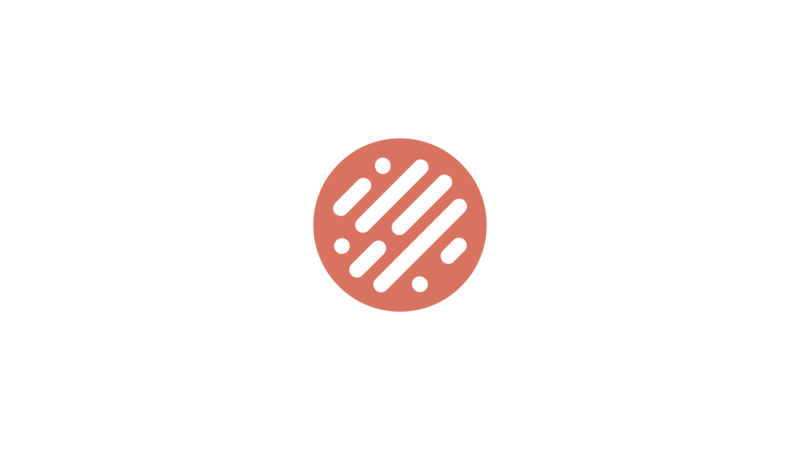 Glimmer is the rendering engine in Ember, and in March we extracted it into a standalone library called Glimmer.js that can be used outside of Ember. 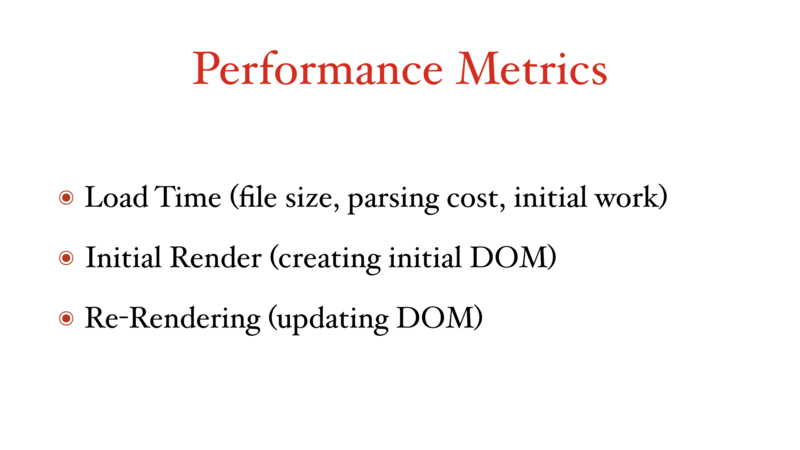 When we think about the performance of a web UI library, there are three major metrics to look at. 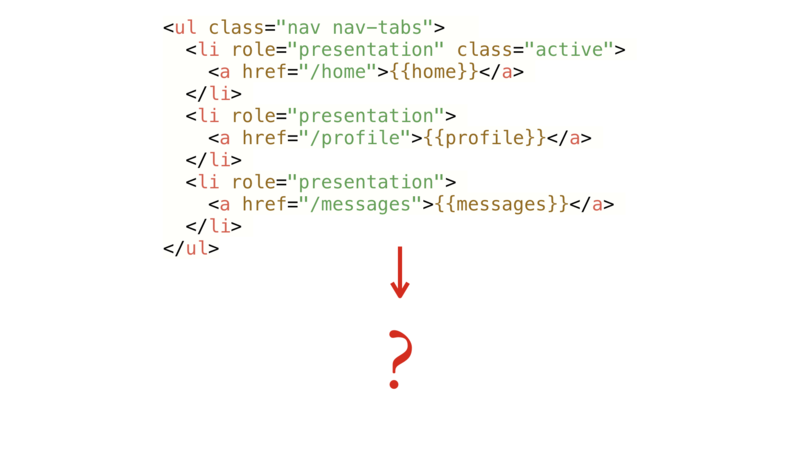 Second, how long does it take to render a component for the first time, when you have to create brand new DOM elements? 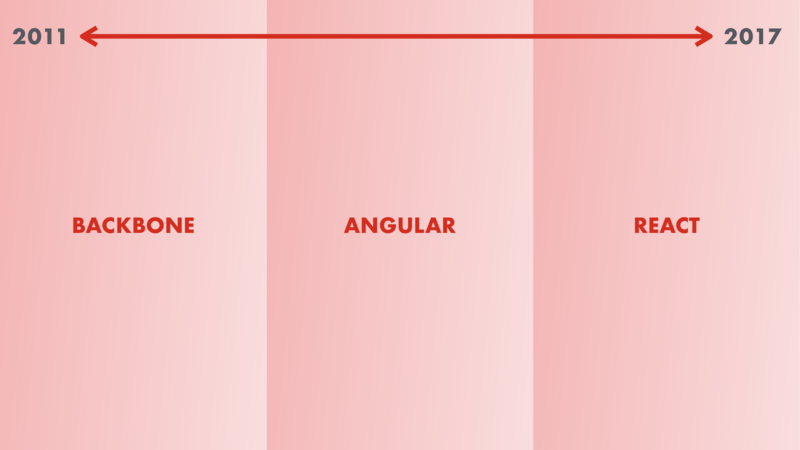 Third, how long does it take to re-render a component, updating its existing DOM elements instead of replacing them? Remember this app? 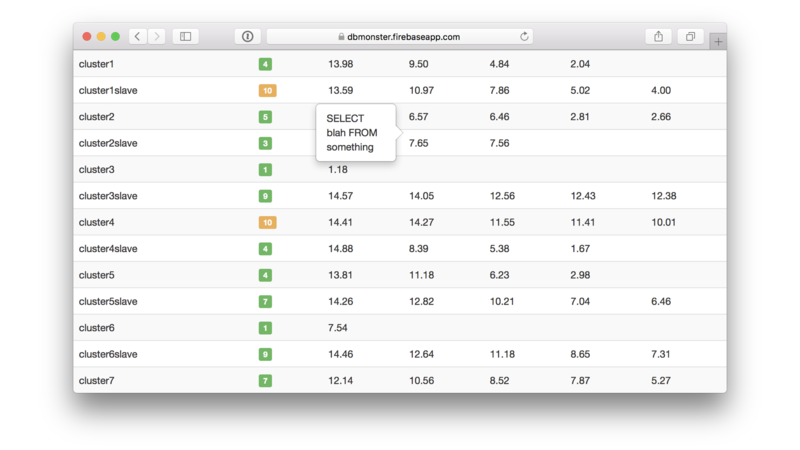 Ryan Florence’s dbmon demo app highlighted the benefits of React’s virtual DOM diffing strategy. For awhile, it set off a frenzy of performance benchmarks and it’s all anyone was focused on. More recently, the community’s focus has shifted to initial load times, as people have grappled with low-end phones and slow networks. 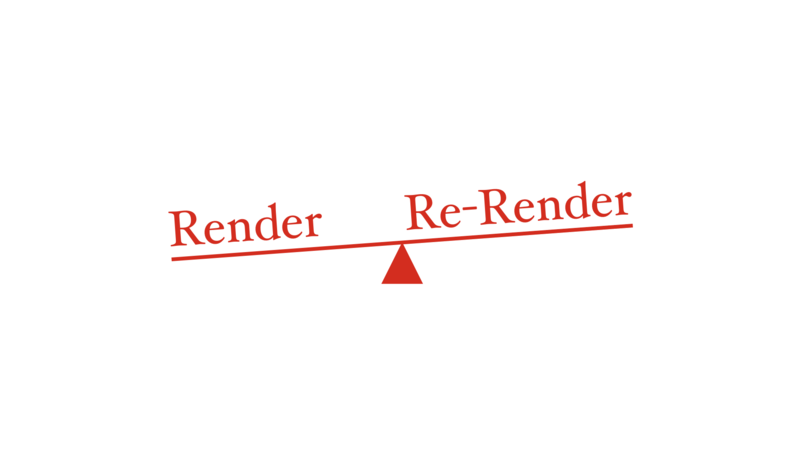 The tricky thing is trying to find the sweet spot that balances between optimizing the first render and optimizing re-renders. Fundamentally, this is an issue of bookkeeping. The more bookkeeping you do in the initial render to make subsequent updates faster, the longer that initial render is going to take. Consider this React component using Bootstrap markup. On initial render, virtual DOM nodes will be created for each element here—that makes a lot of sense. These are basically just instructions for how to create the real DOM. But if a single prop changes, we have to run the entire render function again. That’s quite a few allocations of vDOM objects, not to mention the diffing that has to happen to reverse engineer what changed between the last render and this render. This example is small enough that the performance cost is negligible, but in large apps or inside a loop, this can really start to add up. Can we do better? 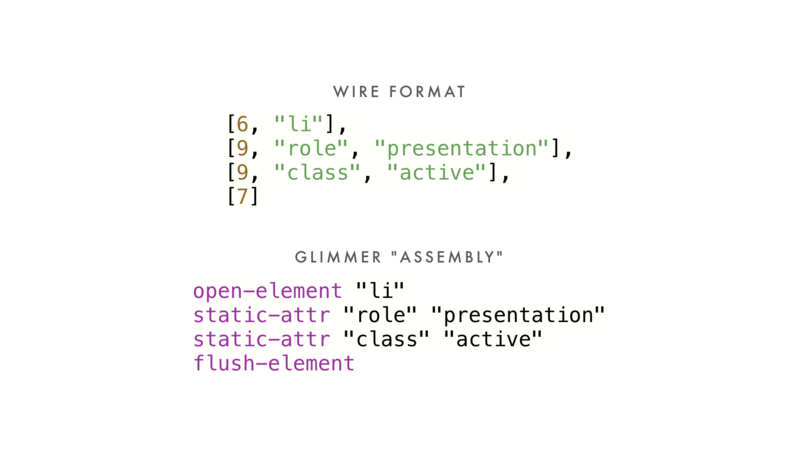 Glimmer uses Handlebars templates for components, and these get compiled when you build your app. The question is, what do we compile these into? In Ember’s history, the answer to this question has changed three times. 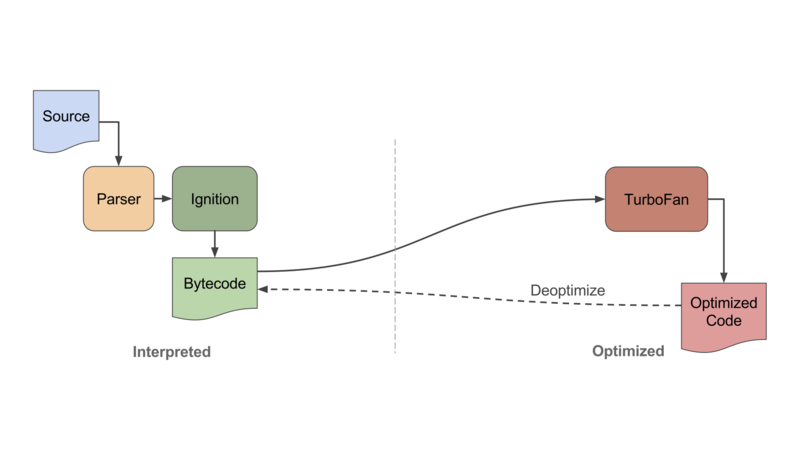 With Glimmer, we tried an approach that we thought could balance the fast initial rendering of virtual DOM while improving on update performance. We did it by treating Handlebars and the entire rendering pipeline like a programming language and virtual machine to run it. 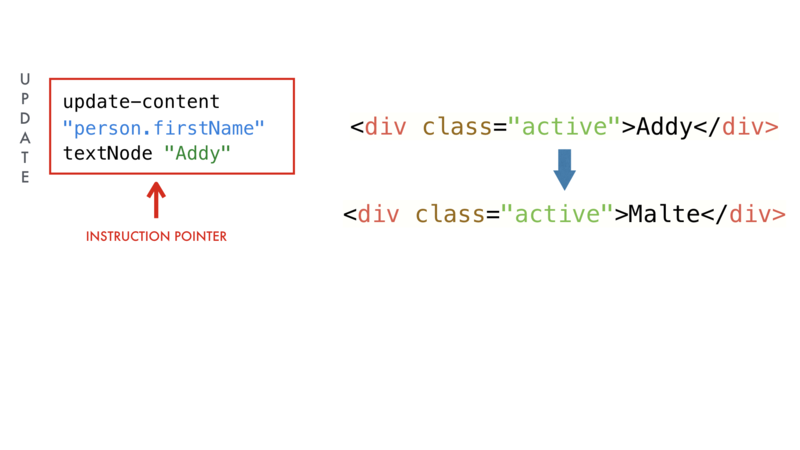 In Glimmer, we compile this template into a JSON object that looks like this. This probably looks like gobbledy-gook to you. What this object represents is actually a sequence of opcodes, or instructions, that tell the Glimmer VM how to build a DOM structure. 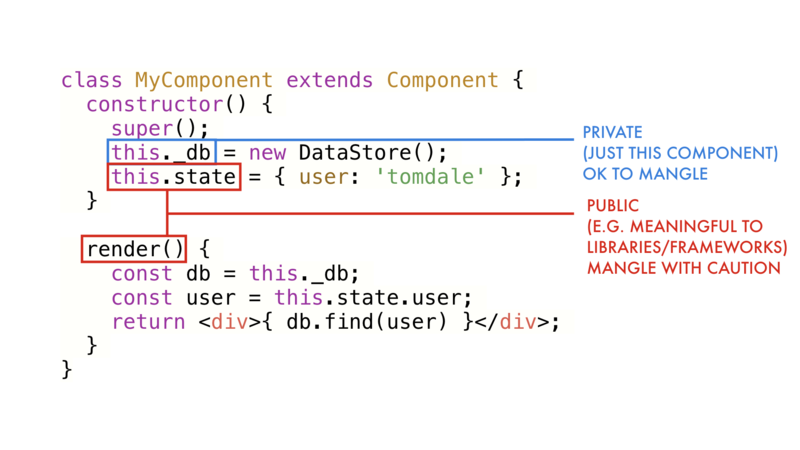 To build our DOM, we iterate over the list of instructions, each one building up a bit of an element. This is an easy example, because it’s completely static. What about something that has dynamic content? 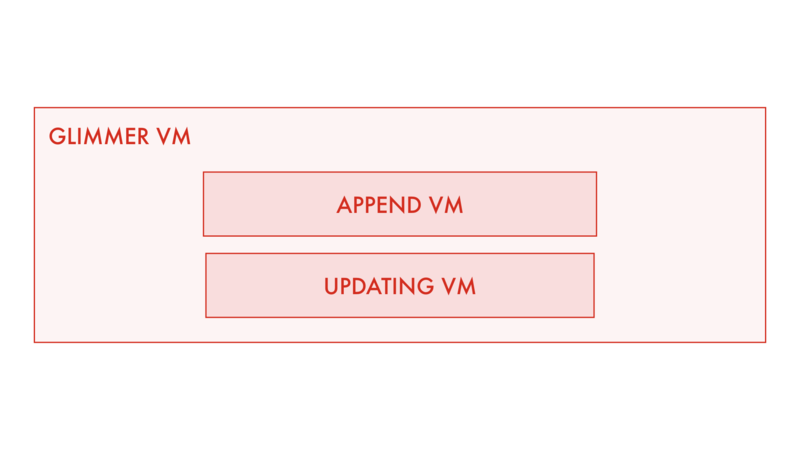 What I haven’t mentioned yet is that Glimmer VM is actually made up of two VMs. One is optimized for constructing and appending DOM elements, the other is optimized for updates. This is the program for initially rendering this template. 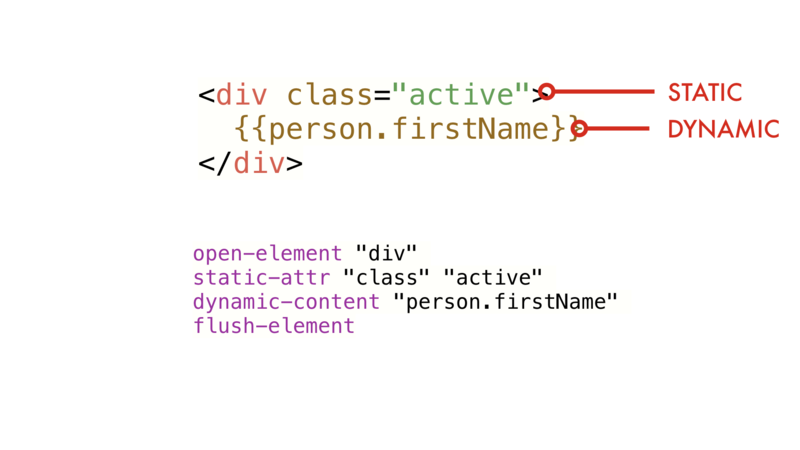 To build up this DOM element, we execute each instruction in order. If the underlying data changes, we could run this again for updates, but there’s no point in spending time executing opcodes for static content that we know hasn’t changed (like the class attribute). Instead, we use a technique called partial evaluation to generate the updating program as the initial rendering program is being run. Essentially, operations in the initial rendering program are responsible for generating the opcodes to update themselves should the underlying data change. In this case, because there’s a single piece of dynamic content in our template, we only have to perform a single operation to update it. 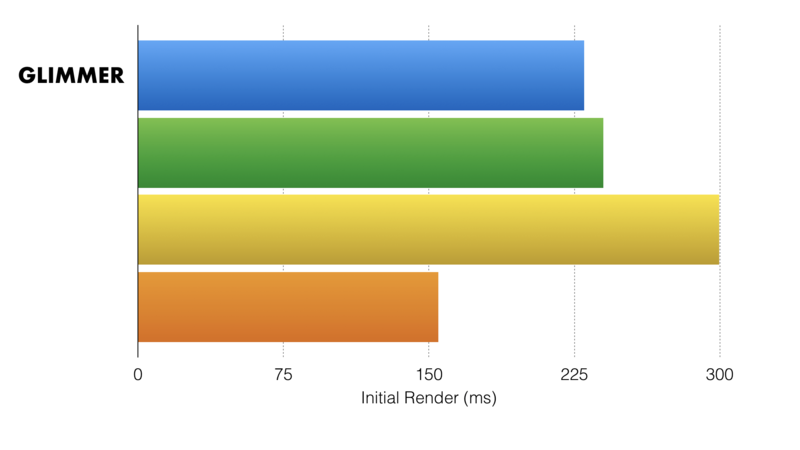 We noticed that basically all rendering library benchmarks only tested pure dynamic content. But that’s not representative of most apps in the real world, where you have plenty of <div>s and other semantic markup. 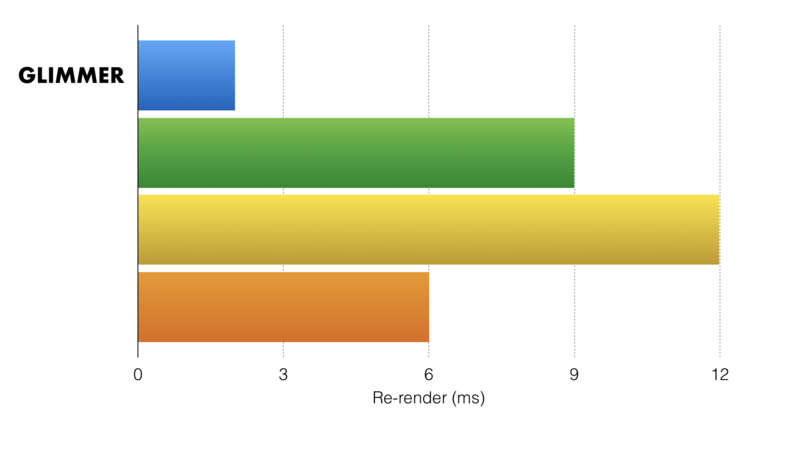 When we created a benchmark with a mix of both, initial rendering was neck and neck with virtual DOM-based libraries. I’m not putting the names here because the point isn’t to be a competition. 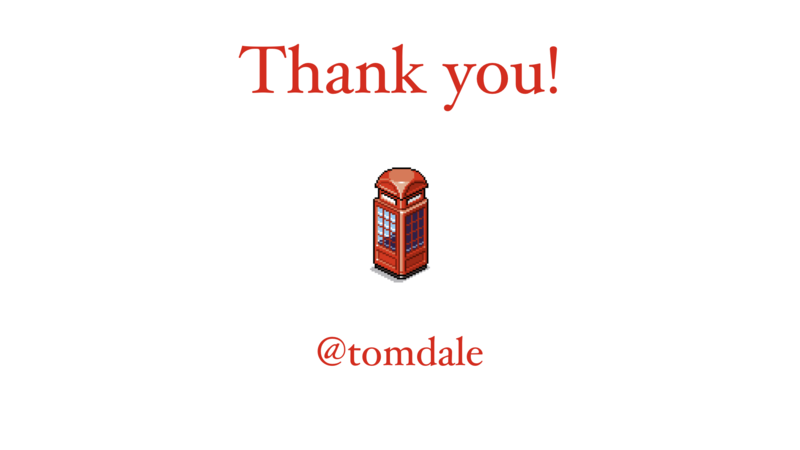 I want to show that, even though we’re not the fastest, we’re in the same ballpark as other virtual DOM-based libraries. However, when we moved to measuring updating performance, we were very happy to see that the partial evaluation optimization seemed to make a big difference. 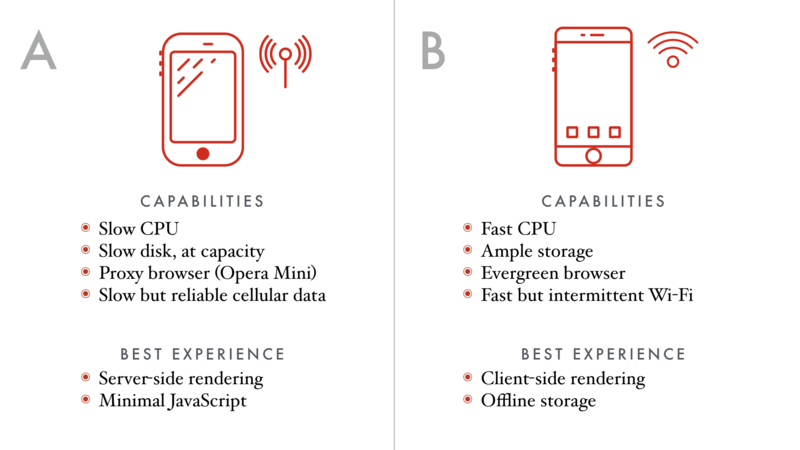 Today we’ve talked about three popular frameworks and some of the things they’re doing to improve performance on mobile devices. It’s important to understand that modern frameworks are becoming optimizing compilers, not just something that you drop in to a page with a <script> tag. But this is just the beginning. There’s an exciting trend towards sophisticated tools that can analyze your app and perform optimizations that would be time-consuming, if not practically impossible, to write yourself. Best of all, code that clearly conveys intent to compilers has a funny way of being able to convey intent to humans, too. In 2017, the idea that build tools are optional is, in my opinion, out of touch with reality. A sophisticated build process is the backbone (pardon the pun) of a modern web app. I for one am incredibly excited that our community has started to builds tools to help democratize and commoditize that performance know-how. The best part of approaching frameworks as compilers isn’t just that they help today’s apps become accessible to more people. By reducing the cost of code, we can build better apps that don’t collapse under the weight of their own complexity. By reducing the cost of code, we can finally dispense with an idea I have always hated: that developer happiness and user happiness are somehow inherently in tension. What’s the Deal with TypeScript? When we’re trying to speed up some part of our code, we want quick, targeted feedback about how our changes perform against the initial implementation. It’s common practice to write a microbenchmark: a small program that runs just the code you’re interested in and measures how well it performs. But be warned: microbenchmarks are fraught with peril, even for experts.